RC-Lights wants you to bust some punks « Big Squid RC – RC Car and Truck News, Reviews, Videos, and More! Have you ever wanted to play traffic cop or pace car at your local track? Maybe bust some punks for reckless driving or speeding through the pits. Well RC-Lights has a new kit that will allow you to play out your punk busting fantasies. 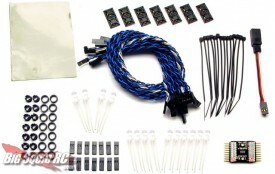 Their new 911STROBE Kit and controller allows you to add up to 14 LEDs, in five separate banks for the light bar, headlights, taillights, and marker lights. Blink rates of the light bar and headlight LEDs are adjustable from smooth and steady to epileptic seizure inducing. And the brake lights run dim while driving and super bright when braking. It’s all controlled and powered by a pass-through Y-harness that connects to your receiver’s throttle channel. It also includes a connector that you can plug in to a third channel for further control. The light controller is also available separately so you can integrate it into your already existing light set if you feel like doing so. MSRP for the complete kit is $180, while the controller alone is going for $130. 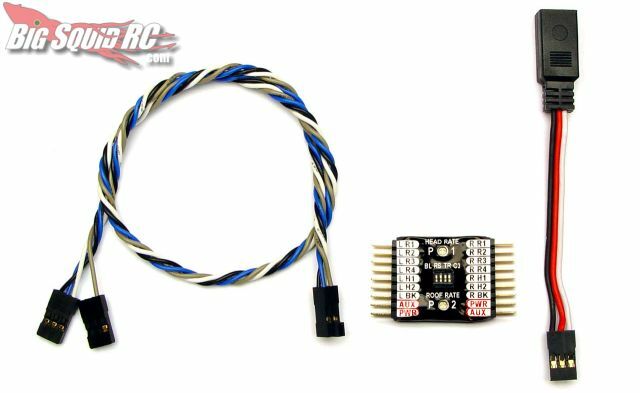 Check out the RC-Lights web site for more info and ordering.